The community Michael & Susan Dell Foundation Learning Center is on the site of the Lakeline Station Apartments. 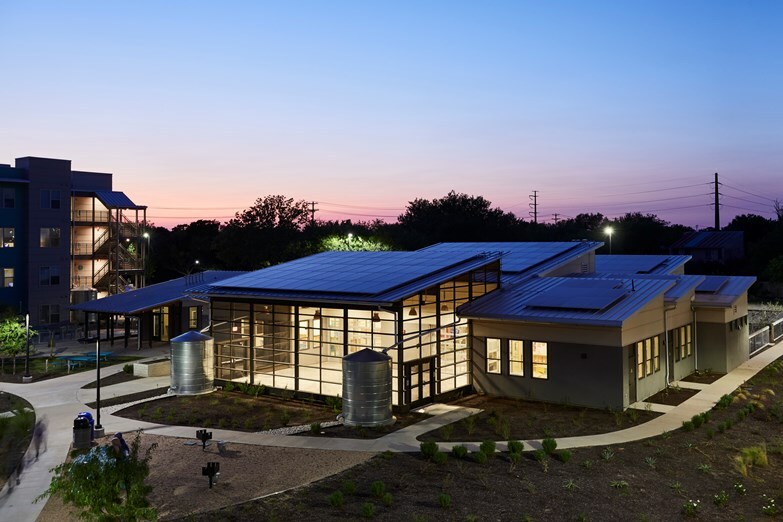 The Learning Center will be the first “net zero” commercial building in Austin, ultimately producing more energy than it consumes. Additionally, surrounding the building are metal cisterns which store rainwater harvested from the roof and a landscape which includes edible plants such as a loquat grove, sunflowers, and veggies planted in raised gardening beds for the children.